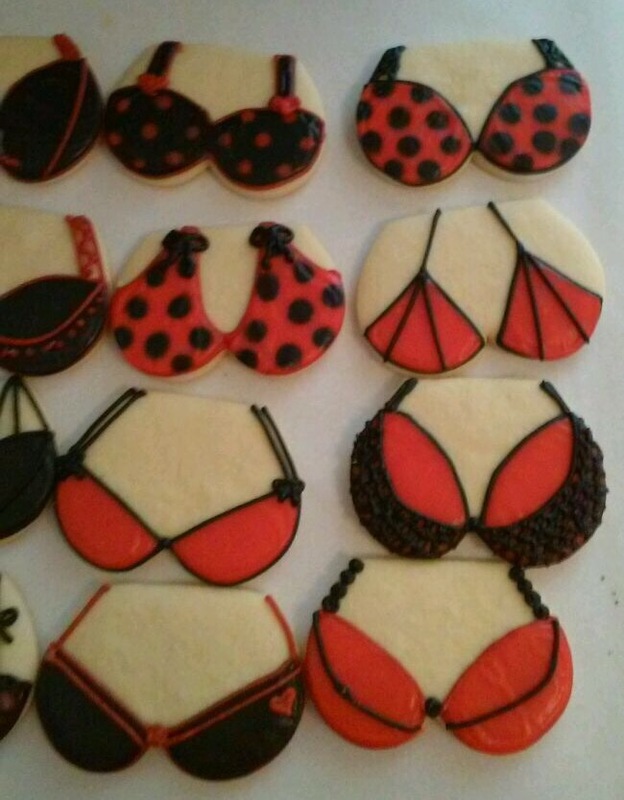 These cookies, believe it or not, were for a man’s 60th birthday! I think they are just perfect for Valentine’s Day though! 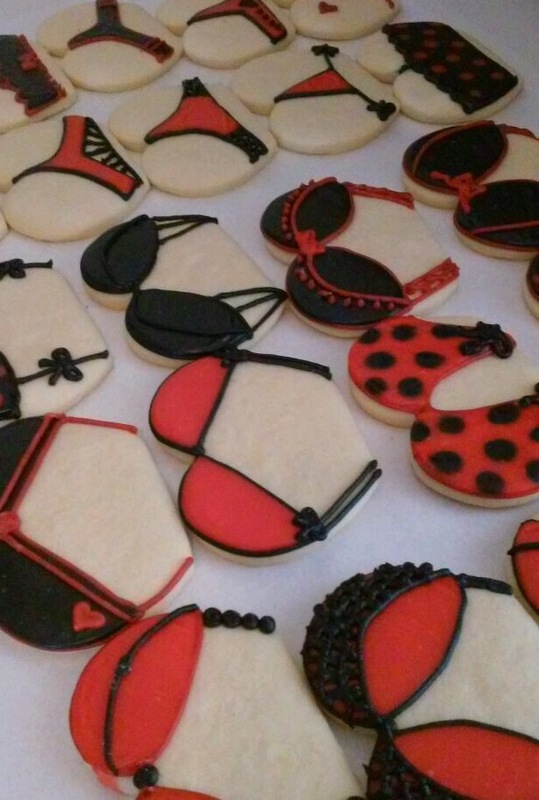 I love doing cookies like this because I can do every single one different and unique and yet the whole set goes so well together. And it’s so fun to look at all the designs and try to pick a favorite! These started out as a heart cookie cutter, and I just cut the tip off to make a nice round canvas. 🙂 And of course I had to do black and red because those are the “sexiest” colors! These were so fun to make and I hope they inspire you to make something fun and naughty for Valentines Day too!